After doing pretty well at Ironman Brazil on very limited run volume, I wanted to give another Ironman a shot and see if I could improve on it. This is the inaugural year for Ironman Maryland with a late announcement, so it was still open and I didn’t have to spend a fortune getting there. Game on. My training actually went pretty well heading into it, and although I could still only run twice a week typically, I got in several long runs and was faster than I’ve been in a long, long time. I was excited to see what I could do, and thought that I could go under 9:30 as my ultimate goal. First, it was great that my parents were able to come up. It was so much fun to see them and have them at the race. My sister-in-law, Katie, was amazing, letting us stay with her in Annapolis and then finding a friend’s house 20-minutes from the race the day before the Ironman and hanging out all weekend. And, of course, Monette was her typical awesome self, making everything easy and fun. Having them out on the course made it much more enjoyable! The water temperature supposedly went down the day before the race making it wetsuit legal, which I was hoping it wouldn’t be, but that’s okay. I hate wearing a wetsuit, so decided against it, and according to Monette was one of extremely few who didn’t. But, it was definitely worth it. I felt really good on the swim, fast but easy. There was one guy who most people knew who smoked everyone in the water, but I stuck with the front pack behind him for most of it with one or two just ahead. It was probably the easiest swim I’ve ever had in a race like that, where it just clicked and felt great. Unfortunately, the swim was long! I wanted to go no slower than a 54, and probably did that for 2.4 miles, but my official time was 58 minutes. When you’re top 10 out of the water, you know that time is off. Several people who had done other Ironman races recently were 6+ minutes slower this time. Oh well, I didn’t know that until later, though, and got ready to ride. The first half of the bike was FUN. I passed a couple of people right out of transition and then got into a groove. The road was flat and there was no wind … yet. I had no idea where I was, but I was COMPLETELY by myself and kept wondering where everyone was. One man was running along the course a little way into it and yelled out to me “you’re about 15 back”. Okay, 15th place, that’s pretty good and I can try to pick people off. The problem was that I’d come up on stretches where you can see really far ahead of you and I just never saw anyone! Were they all that far ahead? I was keeping it comfortable and probably averaged around 24 mph for the first loop. The wind picked up a bit around mile 45 or so probably, but I felt great. It was around mile 40 when someone yelled out to me that I was in 2nd place OVERALL and the first guy was 10-minutes ahead!! WHAT?! WOW, that was a shock and I was pumped. And, that explained why I hadn’t seen anyone! t felt really, really good and couldn’t believe it. But, a lot can happen in an Ironman and, unfortunately, my day didn’t stay perfect. Shortly after seeing my family at mile 58, I hit something and it knocked my sensor to my speedometer into my spokes. It caused me to jerk but I managed to avoid falling or having to stop. However, I did something to my glute and it was very painful. I had to slow down quite a bit because I just couldn’t push through like I normally do. To make matters worse, the wind really picked up – ugh! Bad timing. Also, I didn’t have any feedback in terms of speed or distance now, except for the signs every ten miles. Ten miles can seem to take pretty long when you’re in pain and have no other feedback! I only had two other mishaps on the bike, though. I lost a full bottle of nutrition early into the ride when I bumped it on my leg and just lost the handle on it. I always plan to adapt to various situations on race day and easily accepted this and used the Perform they had on the course, even though I don’t really like it. Then, at mile 80, I had run out of fluid and was really thirsty for water. But, when I got to the aid station, they weren’t ready and all had their backs turned. When they finally heard me yelling for water, one guy ran out, but he handed me more Perform, which I really didn’t want at that point. I only fumed about that for a few minutes before moving on. Even still, though, I didn’t get passed until a guy came flying by me just after mile 80 and I amazingly still came off of the bike in 3rd overall! My ride time was a 4:47, even faster overall than Brazil, so I’ll take it. One thing that I hate, is that there was a pack of about 10 that had ridden together (Monette even got pictures), that wasn’t far behind. They save so much energy and it’s so much easier to run after that. Oh well, there’s nothing I can do about that, so I didn’t worry about it during the race. I got a couple of oohs, though, as I almost fell when I tried to get off of my bike because my glute hurt so badly. I had to go to the bathroom, so jumped in the port-a-john as I tried to loosen up my glute and then went to change. My long-time friend Nigel Morgan was in the tent when I got there and he told me about the pack and that I got passed by about ten people while going to the bathroom! And, he was right. I went from 3rd to 13th by the the time I started the run. The run started out painfully. I had to limp and run with my left leg almost straight for a while. I thought I was able to fake it okay, but my finishers pictures showed how much I was favoring my left leg as I was bent pretty dramatically every time I landed on it. But, amazingly, I was still able to hold a decent pace for the first four miles as I tried to run as normally as I could. However, it got to be a bit too much and I was forced to slow my tempo down. I stopped looking at my watch because I didn’t want to get frustrated if my pace slowed too much and wanted to trust going by feel. My second loop of three was rough. I just couldn’t get into a groove and felt flat, but my leg did loosen up. Then, oddly enough, around mile 17 I started to feel good. I started to run a bit faster and passed back several people that had passed me and I felt fluid and mostly fresh again for the last loop. It was good to see that my fitness was good enough to have that happen and reaffirming after really suffering since mile 58 on the bike. I had lost a lot of time through the middle of the run and figured it would be tough to break 10 hours, but hadn’t been keeping track and really didn’t know. I savored the last mile, taking in the crowd and high-fiving the kids on the road. Then, I was pleasantly surprised when I saw a 9:38 on the clock as I came into view of the finish line! After feeling so rough for such a long stretch, I was pretty darn happy with that. I ended up 7th in my age-group and 29th overall, so I dropped a lot on the run with a 3:45 split, but I AM going to have a run that will surprise everyone at some point! There were only two slots for Kona in my age group so I didn’t get a chance to qualify this time, unfortunately. The competition is getting really fast! It was also fun having friends out there doing the race and seeing them on the course. Nigel killed it going 9:18, John Shilt was just a couple of minutes behind me, Teammate and TMS athlete Josh West was awesome and it was fun hearing him cheering on each lap, Brian Smith was great, too, and TMS athlete Ben Haithcock rocked his first Ironman coming in well under his goal time. It’s a little bitter-sweet, as I had a lot more to give on the day but at the same time, I can’t complain and am definitely happy with the time and to finish another Ironman. I feel that I was in good shape coming into this one and am, amazingly, not even really sore the next morning – except for some major chaffing! Thank you to everyone for your support, words of encouragement, and notes after the race. It means a lot and this stuff wouldn’t be half of much fun without all of you! It was quite an interesting experience at the Washington Olympic distance triathlon run by FS Series yesterday. This was my first time down there and the venue was fantastic with some good fast competition toeing the line. The morning was beautiful, if a little muggy, and the water was 83 degrees. Just a little hot, but not too bad. I felt really good on the swim, probably the best that I’ve felt in a race in quite some time. Coming out of the water and into transition, I realized that I had a big lead as no one was in transition yet by the time I was on the road and around the corner on my bike that I could tell. There was a pretty decent headwind for much of the beginning of the ride, but I kept it steady and strong. I never felt great, but pretty good and enjoyed the course. I drank a full bottle of infinit and about half a bottle of water, which is about right for an hour and 26 miles. I bring that up because of what happens later. Of course, I had no idea what was going on behind me but have been riding pretty strong and figured I likely didn’t lose much time if any. Starting the run, I didn’t feel great but not that terrible either. I did joke to Bri Gaal that I would pay her to run the two laps for me if I could run the one lap for her, but she wouldn’t take me up on it. The course is a two loop out-and-back, so on the way back in I saw that I had a big lead of at least a mile and was really pumped about that. On the way in toward the end of the first loop my legs started to really get oddly fatigued and I slowed considerably. But having such a big lead, I was fine just backing off and cruising it in. The next mile and a half didn’t feel good, but still not absolutely horrible. However, after making the last turn toward home I started to really feel off. I thought it was just excessive fatigue, but the distance and pace shouldn’t have been a problem at all so I should have realized it was more than that. Someone told me later it was in the 80s maybe, but also 90% humidity, which certainly contributed. Then, it hit me fast. With about a half mile left, going over a bridge, I went down. I remember grabbing the guard rail, but not much after that for a while. I found out afterward that Paula Brennan saw me go down and I asked her to get help, which she gratefully did. Thank you, Paula! It’s weird to not remember much. I have vague memories of some people stopping and I told them to go on and to not call 911. Really, the next thing I remember was getting ice dumped and thrown all over me. Brent Dorenkamp was incredible and I owe him a huge thank you as well. I do remember throwing up a good amount, but don’t remember being put into the truck or the fact that they moved me. The good news, though, is that while that is the case I do now remember answering questions and knew everything except the date, which I wasn’t too far off from . However, I did have an issue remember my social security number later. I know that I owe others for stopping as well, and am very sorry that I don’t remember who was there. It seems like it happened very shortly after I passed out, but the next thing I know emergency crews are asking questions and taking care of me. I remember hearing Kari Wilkinson and Suzie Hosman, and thank you both for being there. When they tried to move me, I couldn’t stand on my legs and they put me on a gurney, although the order of events may have been different on that as I’m not sure who asked or when they tried to get me to stand. As they moved me into the ambulance, I threw up several more times including while in the ambulance, which was not fun at all. However, I did start to feel better and come to at that point. That’s why I was a little surprised when they checked me over and the guy told the driver to ‘go hot’ and the sirens went on as the driver stepped on the gas! They said they had to put me on oxygen and I’m not sure what my blood pressure was, but a while later while at the hospital it was still only about 100/55, and they had a little trouble getting an IV needle in b/c I was ‘dry’ and it took a couple of veins to get right. In the ER, they were still keeping me on ice and started the IVs while also taking a lot of other tests. It’s odd, because by that point I was starting to feel much better so I was surprised when they came back and told me that they wanted me to stay overnight because my kidney function was way off, while my electrolytes were as well. Other numbers were also off, which I found out later, and which I was told was basically like poisoning my body. They told me more than once that I’m not 21 and have to take added precautions! I know that, and thought that I had, but just didn’t have enough liquid/ice on the 10k run. It was a very pleasant surprise to get visitors down there, and I owe Doris and Kari big time for bringing me my stuff and driving my car home for me. Thanks Paula, Frazier, and Brent for the visit as well. Also, poor Monette had to get the messages while training with a client and was very gracious in making the trip down to be with me. I can’t tell you how big of a lift it was to have her there. My functions have stabilized back into normal ranges and they have allowed me to come home. So, now I just need a lot of SLEEP! It was scary and embarrassing, but I’ll learn from it and move on. Thank you to everyone that helped and sent nice messages, it means a lot. And, it was great to see many of you killing it out at the race! 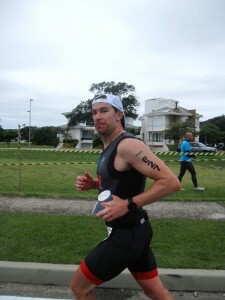 Check out Triangle Multisport stud Josh West’s interview with Quintana Roo on their latest blog: http://quintanarootri.blogspot.com/2014/02/josh-west-and-his-shantae-roo.html. Thanks for the shout out, Josh. Love the pics! It’s been a long time coming, but we’re very excited for the major site changes to Triangle Multisport’s website. Huge thank you to Doug Van Wie and Gil Cukierman for all of the hard work! Throughout the next few weeks we will continue to add and modify to the content until it is fully functional. In the meantime, if you have any suggestions or questions please let me know. We have a LOT of great things going on this year so check back regularly. One major announcement is that we are taking registrations for the Thundercats Youth Triathlon Team (ages 6-12), which starts back up at the beginning of March. Registration will be available on this site or through www.sportoften.com.